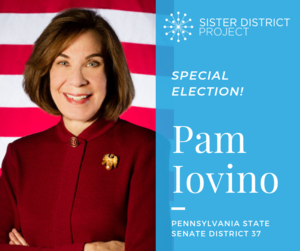 Pam Iovino is a fantastic candidate whose career has been in public service. She grew up in the Pittsburgh suburbs and went on to pursue a commission in the U.S. Navy—graduating with distinction from Officer Candidate School and earning a Masters degree from the Naval War College. Pam went on to a distinguished 23 year career in the Navy, earning the rank of Captain and, among other roles, served tours as a manpower analyst, Commanding Officer, and Congressional Liaison. 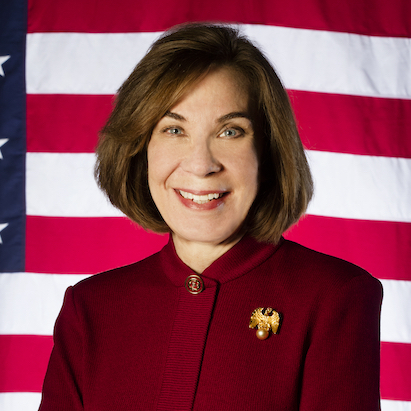 Upon retiring from the Navy, she assumed a Senate-confirmed Presidential appointment as Assistant Secretary at the Department of Veterans Affairs. She then served as the Director of Veterans Services for Allegheny County. Pam is ready to hit the ground running in Harrisburg. Her policy priorities include increasing funding for public education, expanding access to affordable healthcare, and gun safety. Read more on Pam&apos;s website.